UPDATE: Mint has an excellent chat option, but they kind of buried it since I first wrote this post. If you’ve spent more than a NY minute on my site you’ll know I love data. Data I DON’T love so much is my own financial data. It’s scary in there. But last month I put on my big girl pants and decided I was going to get on a budget. After doing an excessive amount of research I decided I would use Mint. Partly because I’ve used it before and many of my accounts would already be in there, partly because they added a new feature since I used it last that I hoped would allow me to be my proactive in my spending, and — if we’re being honest here — partly because it’s FREE. One thing I wasn’t prepared for was just how much I’d need to customize it to satisfy my needs. Mint required a significant amount of customizing and hacking for me to benefit from it. And I came very close to giving up. But any time I learn something that’s tough to grasp, I experience this compulsion share it in hopes maybe someone else won’t have such a difficult time. I probably read at least 20 different posts, more help threads, and watched a ton of videos. But I was eventually able to corral it to work really well. If I can flatten that learning curve for you, great! So if you’re looking for a post about marketing data check back! There will be plenty more. I have personal and business accounts. I wanted to cherry pick which business expenses I wanted to include in my personal budget (like restaurants, coffee shops, and juice bars) because my spending in these categories was pretty out of control. ?☕️? Other fixed expenses, like my office rental, accountant fees, and online services, I wanted left out. I’m specifically going to focus on some of the customizations that are lesser known or were difficult to grasp. They may not seem difficult to you because either a) you’re smarter than I am or b) you are seeing the final resolution of several tests and failures or c) both of the above. (1) Set up your accounts. Sometimes it gets a little dicey to find the right service. If you have a difficult time with a credit card (as I did with my Southwest Chase card), I recommend looking at your actual card to find the right account name for it. Once you find the right account, you’ll be prompted to log in. Super easy. Some accounts will require extra hoops of fire to jump through. My life insurance account required me to answer questions about my childhood I had a difficult time remembering. And then made me do it AGAIN the next day. You can also add accounts via their app. I have the iPhone app. But you just go to Settings (in bottom-right corner of screen) > Accounts > +. (2) Set up your budget. Follow the steps in the screenshot below to get started. 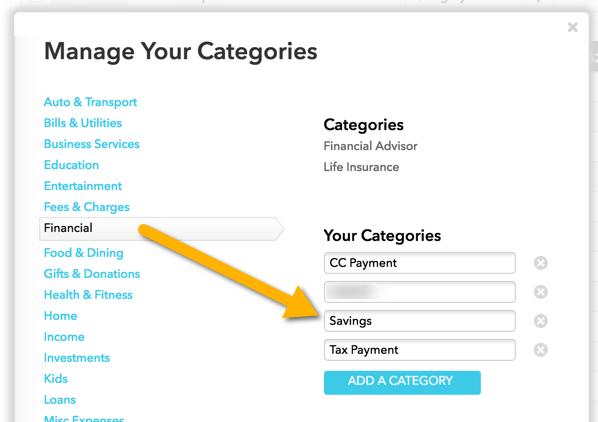 For example, I only put debts and savings budgets in my Financial category. I think Mint had Life Insurance and one other subcategory in there that I evicted. So, even though I couldn’t move Life Insurance to the Health & Fitness category (a weird restriction), I could add a new subcategory that I called Term Life Insurance. I don’t like that I can’t customize the top-level categories or move subcategories to a category of my choosing, but did I mention Mint is free? ? 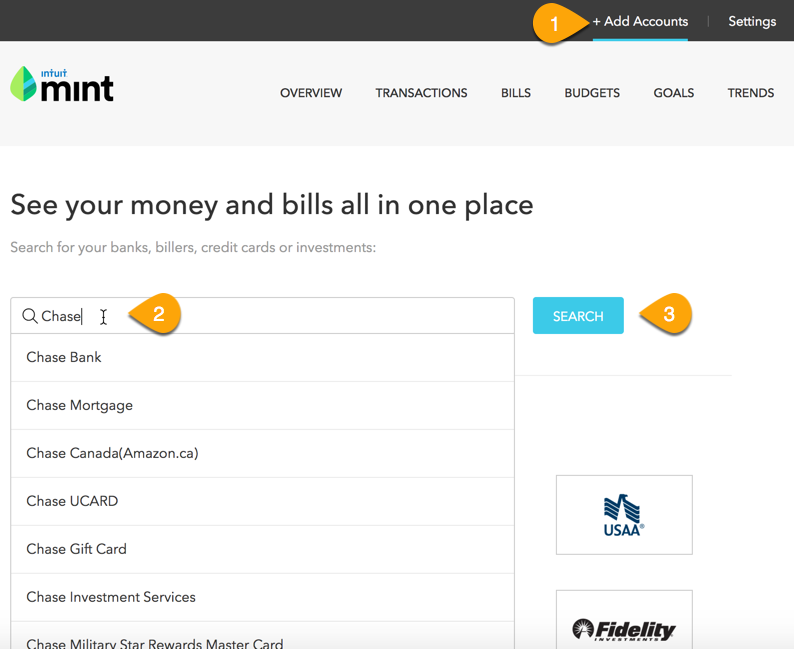 Learn more about working with budgets on the Mint site. (3) Set up your bill accounts. 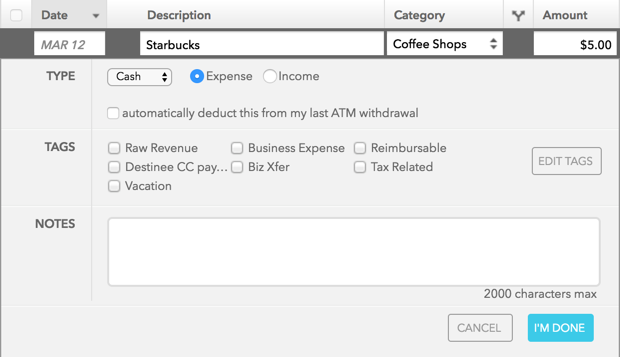 I really love this feature and how robust Mint is with common accounts. I’m also impressed by how many companies are providing APIs that budget tools can connect to. On the website, choose Bills from the main navigation and choose between an online and offline bill. In the app, go to Overview > tap on the Bills card > tap the + in the upper-right corner. The advantage to online bills is you can set up alerts. Mint will also monitor upcoming bills via the app and website. That alone makes Mint worth the setup time, in my opinion. 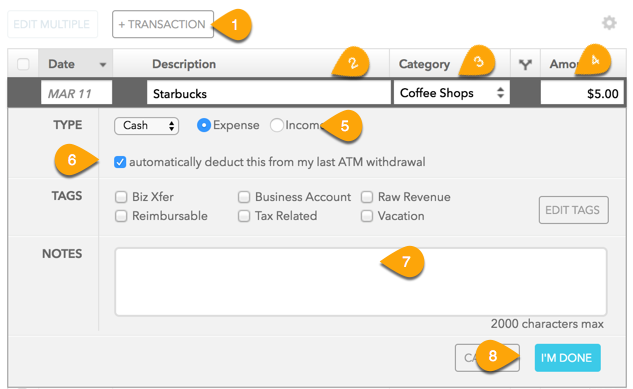 (4) Start classifying your transactions. One really nice thing to help you set categories en masse is when you select a transaction, you have the option to select all transactions from that merchant or category. 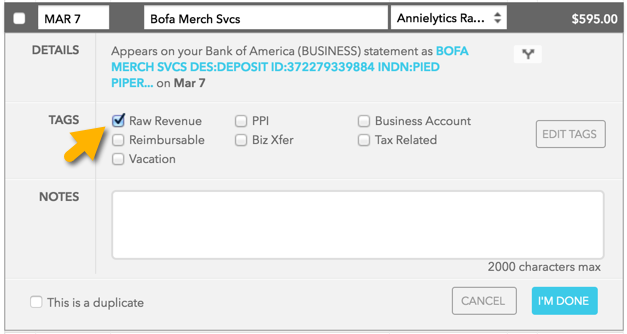 I will actually reclassify the Bofa Merch Svcs transaction as Annielytics Raw Revenue and add a custom Raw Revenue tag, which will hide it from my budgets and trends reports. My reasoning for that will make sense by the end of the post. You can then select all these transactions and categorize them in one fell swoop. To access your transactions in the app, navigate to Updates > All Transactions (under Recent Transactions) > tap transaction > tap Category > change it. There’s so much more you can do in Mint, but these rudimentary steps will get you up and running. A couple years ago one of my accounts had assigned me a new account number. But when I linked that account (a process Mint makes very easy), both accounts were showing up. It bugged me to see it in the list. Also, one of my daughters also had a bank account under my account from when she was a teenager. Although she had assured me she closed the account, what she actually did was just siphon out all the money, leaving me with another ghost account that showed up alongside my real accounts. 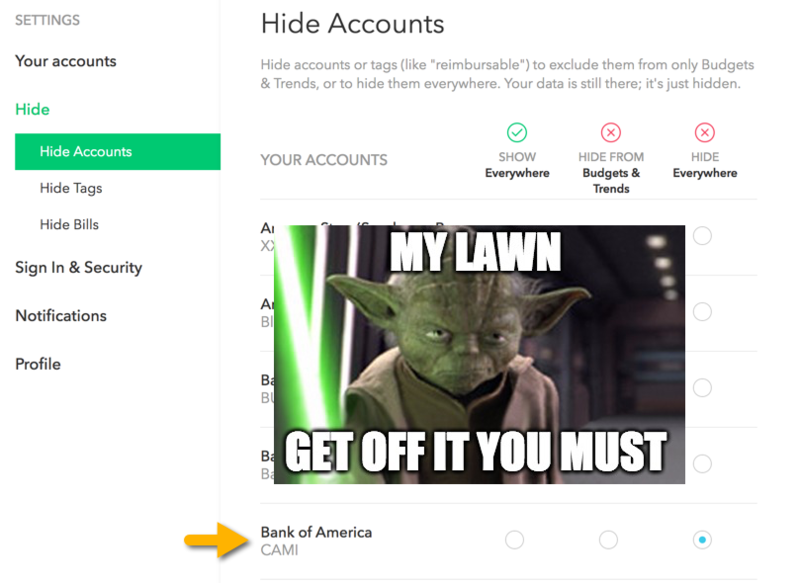 Hide accounts you don’t want to show up. Again, these directions are specific to the iPhone app. I would imagine the steps are pretty similar to the Android app, if not identical. I knew that Mint gave you the ability to hide individual transactions, but I felt like it could be difficult to undo if, at some point down the road, I decided I wanted to track some of these expenses. 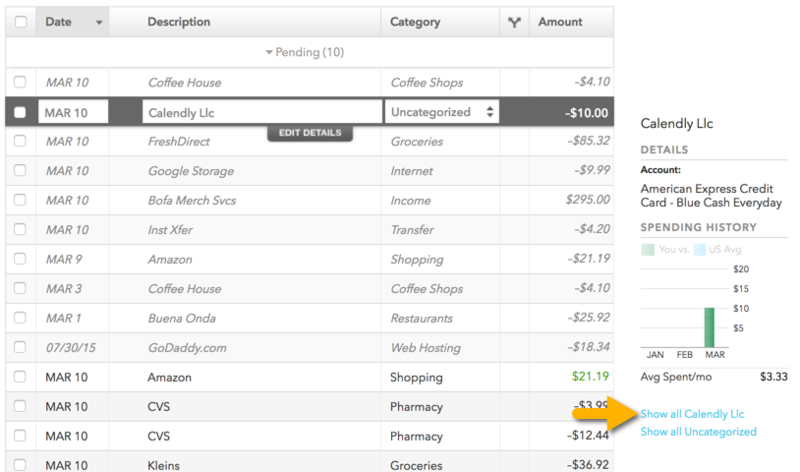 If you just want to hide the transaction without classifying it, click on the category assigned to the transaction and change it to Hide from Budgets and Trends on the very southern tip of the drop-down menu. In the app, go to Updates > All Transactions (under Recent Transactions) > tap transaction > tap Category > change it. Reimbursable: I use this category for expenses like conference travel that I ultimately get reimbursed for. I don’t want these “expenses” to skew any of my trends reports, even though I could apply the reimbursements to these budget line items when I’m reimbursed. That’s my personal preference. Raw Revenue: One frustration I had is how Mint was recording money that’s automatically deposited into my account from website sales. (I know that may sound like the mother of all humble brags. I almost left this hack out because of it.) But it took me a while to get to the bottom of this challenge, so I included it for the sake of others who might have a similar challenge. For me, because I have my business account linked, these deposits are automatically tagged as Income. But it’s not really income until I move it from my biz to my personal account. That’s when I pay taxes on it and use it for expenses I’m tracking. And, by default, Mint doesn’t count transfers between your accounts against any of your budgets because it doesn’t view them as either income or expenses. But that’s the opposite of what I needed. I needed the deposits into my business account to be hidden and the transfers to count as income. I wish I could set categories to hidden and even set rules to auto classify some merchants into these categories set to hidden, but you can’t do that. So I created this tag to apply to sales revenue and then apply it to each of these deposits. Mint is pretty good at detecting categories, but its algorithm still hasn’t reclassified deposits from Bofa Merch Svcs … sigh. Business Account: This is how I tag straight-up business expenses, like the ones I listed earlier that I don’t want to track in my budget. Ironically, I read several places that you could sign up for a paid business account, but I couldn’t find out how to throw this money at Mint anywhere. Conversion optimization fail. Then go to Settings > Hide > Hide Tags > select the tag under the Hide Everywhere column. You can’t create a tag in the app at this time, but you can apply a tag you’ve already created. So this is where I get a bit princess like in my preferences. There are some budget items I want to carry over from month to month, such as my vacation, gifts, dining, and annual budgets (like car registration and taxes). But then there are other budget items I don’t want to carry over. The reason is that I want to use a zero sum approach, meaning if I go over in one budget I don’t just say “Oh well” and move on. I steal from Peter to pay Paul. To wit, I move money from one budget item to pay for my excess in another — whether that comes from savings or another account. One really nice option here — especially when you’re new to budgeting — is Mint gives you a do over if you just want to pretend you didn’t go tragically over in a budget last month. It takes the form of the Reset rollover to $0 pill (as seen in the screenshot below). This will allow you to continue to roll over budgets from one month to another while just clearing it that month. This is particularly helpful when you’re new and getting your webbed feet. In the app you can change your budget amount but not set up rollovers. To change the budget amount, go to Updates > Fast Approaching Budgets: View All Budgets > tap the pencil icon > tap to open the Edit Budget menu or drag the budget line. One reason I don’t like budget systems like Quicken (and Mint by default) is they just tell you when you go over. By then the damage has been done. I want to actively manage my budget. And by active I mean I actually assign transactions in the app nearly every day. Otherwise, it’s really easy to forget what a transaction was. If you do get stuck on a transaction, one trick that works well for me is to select it and look in the right sidebar to see what account it came from. As you can see in the screenshot below, sometimes the description passed on by the merchant is really nebulous. But what do you do when you go over? If you want, you can just let budgets go over/under. But if you don’t set your budgets to carry over, that money goes unaccounted for, whether you’re over or under budget. The perennial college student in me wishes Mint gave you the ability to transfer from one budget to another, like I was able to easily do when I used the envelope system. It made achieving a 0 sum budget easier. The objective wasn’t as much to monitor your spending trends but to balance your budget at the end of the month, no matter what. With Mint the objective is more to monitor your spending so that you can see the categories you overspend in. The only way to know if your budget is effective is to see your spending patterns over time, which Mint does beautifully with its Trends reports. That said, you can hack it to mimic a transfer. Option 1: Let them go over. As long as your income exceeds your spending, you’re golden. One advantage to this approach is it could help guide you to either adjust your spending or your budget in that area. Option 2: Reduce the budget amount for another budget item you’re under budget on and then bring the budget you went over on to 0. I’m not a fan of this option because you have to remind yourself to return the budget you borrowed from to its original amount the following month. That said, you can easily modify any budget by clicking Edit Details (which appears when you select it) and changing the Amount field. In the app, you can get to individual budgets by tapping Updates > View All Budgets or Overview > [Month] Budget card; then tap the pencil icon and move the budget line. Option 3: Transfer money from savings to the budget in need. This is the option I’ll demonstrate below. I just bought a juicer last week, but I didn’t have the money in my Home Furnishings account. I resolved that by transferring money from my savings account and then documenting that in Mint. I was loath to make this big of a purchase so early into my budget, but I was getting over a three-week sickness and decided I needed to get more nutrition in me to offset the stress of traveling in the winter. 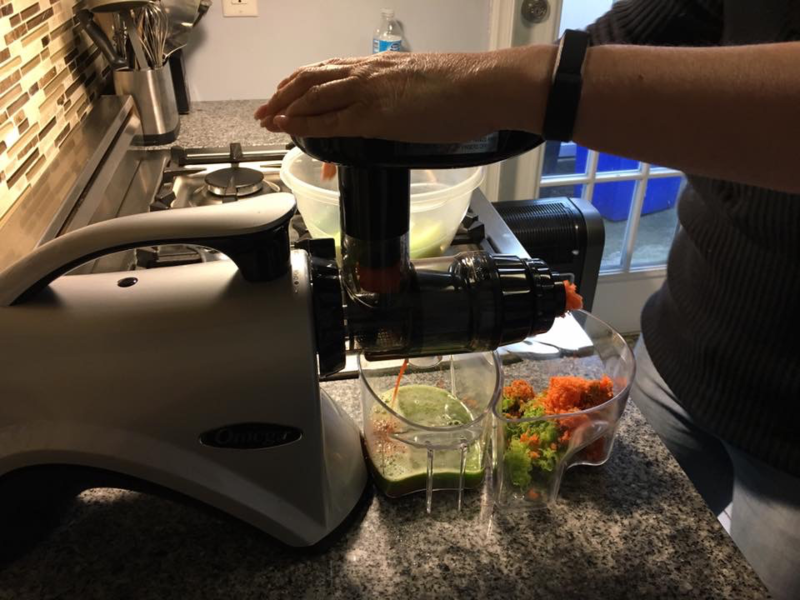 This was my maiden voyage into juicing. But, again, when you transfer between accounts, Mint doesn’t count it. What I want to do is take the credit and apply it to my Furnishings budget. For simplicity’s sake, I keep transfers from savings categorized as transfers. I may get more sophisticated with it over time. But for now I’m mostly concerned about identifying every dollar that comes into my personal accounts (and biz accounts for some expenses) and not get too bogged down with the accounts I’m not monitoring as closely. One thing that can chip away at your budget is cash withdrawals. Once you pull that money from your account it might as well grow wings and take flight. But Mint gives the ability to put that spending on a leash several ways. If you know how you plan to spend the cash, you can assign it in the ATM transaction. This is called splitting. Notice how Mint automatically assigned $3.50 to ATM Fee. Very handy (much unlike ATM fees). It automatically created the third item. This is what you need to fill out. Then you need to deduct that amount from the top line item. Ideally, you’ll be able to assign all of your withdrawal. But even if you just assign some of it (like you know you’re going to have to pay a $5 toll and will be paying cash for coffee), you can either go back into this transaction at a later point OR go with Option 2. When you spend money you deducted, create a transaction, but this keep automatically deduct this from my last ATM withdrawal selected. This will cause this expense to count against your last ATM withdrawal. ATM withdrawals are automatically categories as Cash & ATM under the Uncategorized category. Instead, you can track cash withdrawals under Transfer for Cash Spending, which is under the Transfer category. 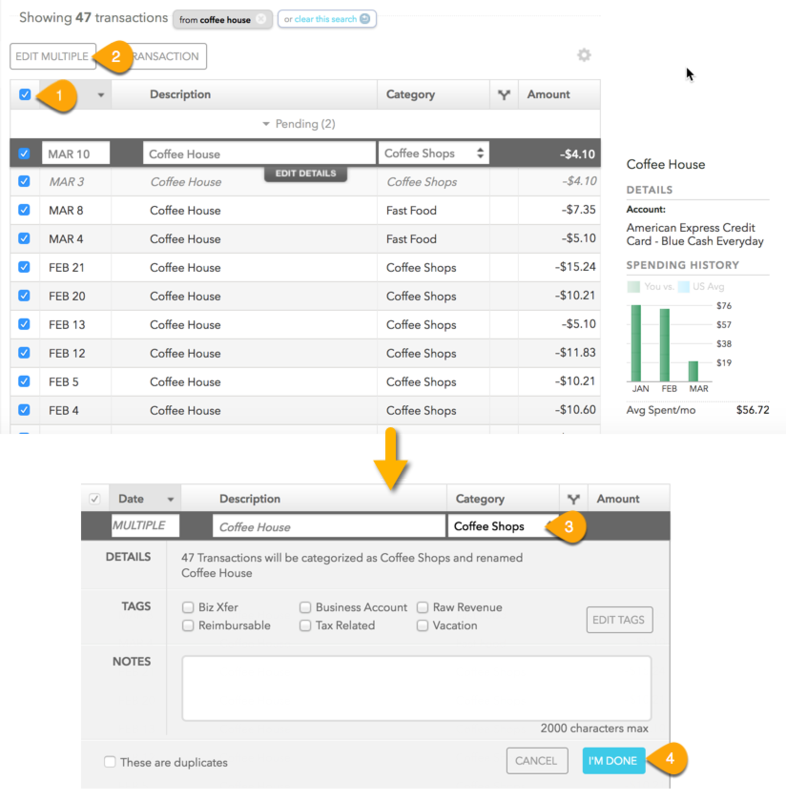 Remember: Transactions assigned to any category under Transfer (even if you create custom categories under Transfer) do not appear as income or expenses, so they don’t impact your budgets or trends reports. Then, when you spend the money, manually enter your transaction as a cash expense. One advantage to this approach is you’re not limited to only allocating to the last withdrawal. In fact, you don’t even have to remember which ATM withdrawal you’re spending from. This post has more details on how to rock this approach. I haven’t tried it yet because I stumbled across Nicole’s post while doing research for my own, but I suspect it will become my fave. Getting back to my monster cell phone bill … per my request, my girls transfer me the $10 overage charge whenever they get the text that they’ve gone over. But I had to work through how to record those payments and then credit them to the right account. At first I recorded them under Income in a custom Kid Payments category and then credited the Mobile Phone budget item. But eventually I found a workflow that was more efficient. When one of them transfers me money, it’s recorded as a transfer. Mint’s algorithm lacks sophistication in this regard. I understood that transfers don’t get credited to your budget or trends reports when I transferred from one of my own accounts. But I was surprised that transfers from them were also recorded as transfers. So what I do now to offset this is just change the category from Transfer to Mobile Phone (under Bills & Utilities). You can see in the screenshot below, from an overage payment I received, that doing this credits my Mobile Phone budget $10, which will offset the additional charge to my account later this month. Note: In this case a negative number is a good thing. Positive numbers in the Budget line items indicate spending (boo); negative numbers indicate credits or carryover from the month before (yay). I have to admit, Mint’s handling of credit card payments and credits was singlehandedly the most difficult thing to wrap my mind around. By default, Mint classifies them as transfers. Sometimes they even show up in the Credit Card Payment category, which falls under Transfers. Again, any transactions classified as a transfer will not count against your budget. After much head scratching and reflection, I found this to be good in some scenarios but suboptimal in others. I will describe three scenarios, illustrated by the screenshot below, and explain how I manage them in Mint and why. Okay, first of all, keep in mind that all transactions from all of your accounts — both debits and credits — show up in your Transactions report. Anything that shows up as a positive I classify as Credit Card Payment, which is under the Transfer category. This is a default category Mint provides. I leave these alone if they automatically fall into this category and add them if they don’t. Sometimes they show up under Transfer, but I want to be as specific as possible with my budgets so I move them to the Credit Card Payment subcategory. 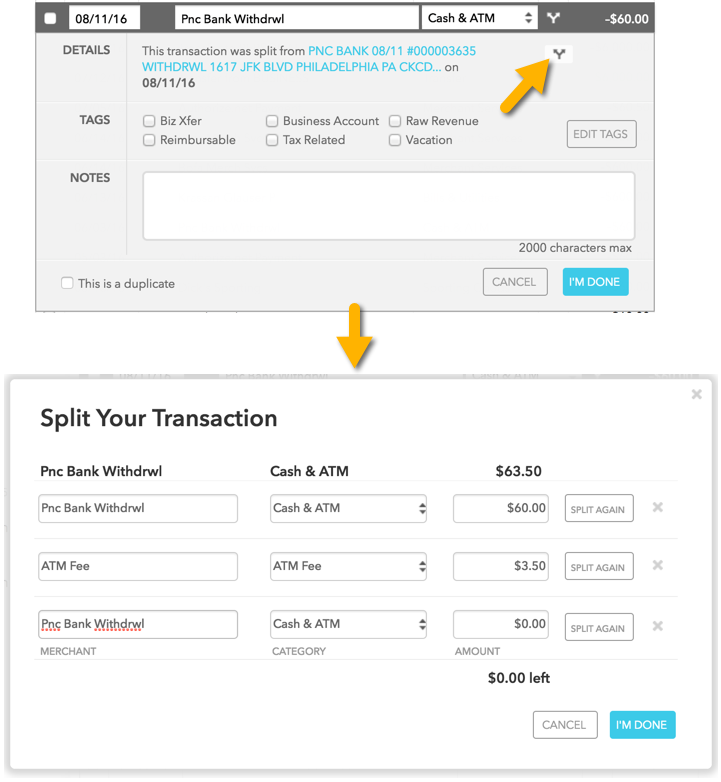 This also aids in being able to select multiple transactions at once, as I demonstrated earlier in the post. This is a payment I made to pay down one of my credit cards I currently have a balance on. Since this is above and beyond the purchases I made on this credit card (which were tracked in Mint), I classified this transaction with a custom category I created under my Financial category. If you remember, I only use my Financial category for credit card payments that pay down my balance and “payments” to my savings account. The actual deposit that shows up as a positive number (transaction) in my savings account in Mint I keep as in the Transfer category. It’s the payment (or withdrawal) from my Personal account that I change from Transfer (again, Mint’s default) to Savings, which is a custom category I created in my Financial category. Btw, you can add custom categories by taking the following steps: select the transaction > click the double arrows next to the category > scroll down to Add/Edit Categories > Add a Category. Your custom categories will then show up in the Your Categories section of the Manage Your Categories menu. In the screenshot below you can see my custom categories in my Financial category. You can use your savings account, for example, to set up a goal. Like, if I wanted to set a goal to save $1,000 in six months, I could do that. Or pay off a credit card in a year. But, though I touch on goals later, they are for the most part outside the scope of this post. I complained to Southwest on Twitter a couple weeks ago because their wifi on the flight I was on was abysmally slow. A rep from Southwest offered to reimburse me for the expense, which was telling of the support I’ve consistently received from Southwest. This was that reimbursement. Assign it to a category under Income. Any categories you have under Income are counted as, well, income. And they show up in the Income section of your Budget report. With returns counted as income, you are free to use it however you’d like. Assign it to any other category I want to apply it to. If fighting for a return makes you want to treat yourself to a new pair of shoes, then by golly add it to your Clothing budget and go to town! ? Side Note: If Mint doesn’t integrate with your credit card, none of your transactions will show up in Mint. To track your spending, you’d have to enter these transactions as cash and then set your credit card payments (for expenses you’re tracking in Mint) under Transfer. Payments designed to pay down your balance should be categorized wherever you create this category. 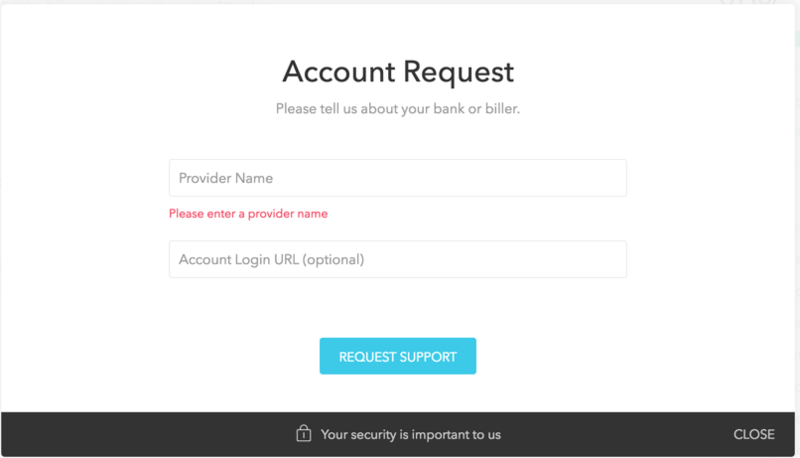 But you can request that Mint add your credit card account. Mint allows you to track your saving for big expenses, like buying a house or saving for a vacation. I wanted to take advantage of this to save for a family cruise. We’ve never gone on one before, but it’s been a lifelong goal of mine. So we set the date for Dec 2018, and now I’m setting aside money to meet that goal. Because Mint isn’t an Envelopes system, you can’t just allocate $150/mo into that envelope. And you can’t really allocate budgets for these bigger goals because you’re not actually spending the money yet. Mint offers goals to meet these objectives. One little gotcha for me was I wanted to save for two trips: the cruise and also a trip to Hungary I hope to go on with my dragon boat team next year, if we qualify for the world championships. 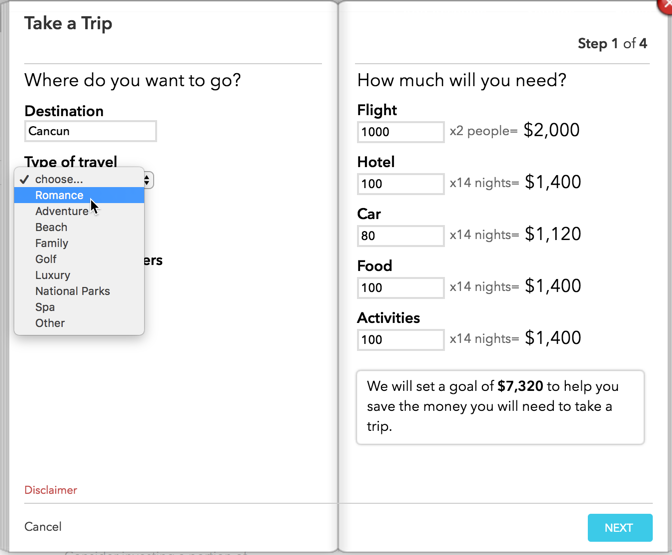 I thought I’d be able to use my savings account to track both of these trips, but Mint only allows you to use one account per goal. However, I was able to set up a new savings account in a couple minutes on my bank’s site, so it’s not a huge deal. It will be fun watching these accounts grow as these dates get closer. 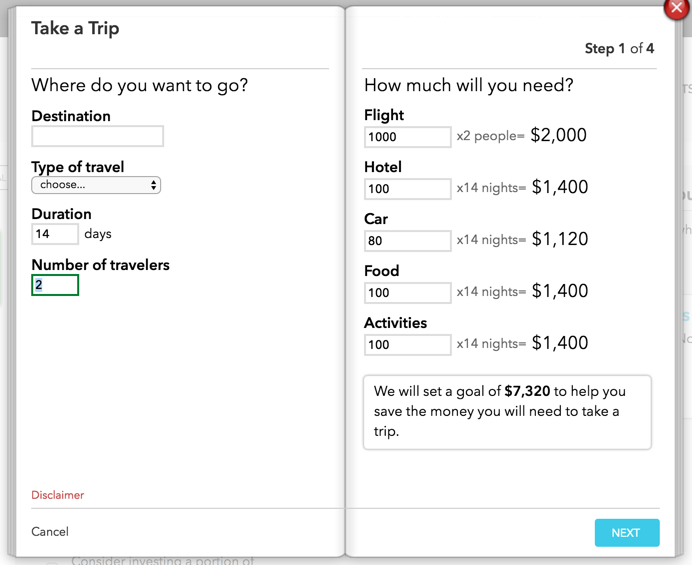 Note: I actually used a custom goal instead of the Take a Trip option because I didn’t want to have to fill out all the fields in it. Besides, does Intuit really need to know I’m going on a romantic trip to help me budget better? This is the type of data a company could sell at a premium, which Mint’s CEO hasn’t ruled out as a possibility. The next thing you know I’m getting hammered with ads on romantic getaways and wondering why. Not possible to set up in the app at this time. If money actually leaves my account, I apply it to a category. If money is actually added to one of my accounts, I either file it under my Income category (and I have a handful of custom revenue sources in addition to my paycheck that I use as categories under Income) or I apply it directly to a budget, which just gives me that much more money to spend in that budget without going over. If I don’t want a transaction included in my budget, I apply one of my tags that I’ve set to hidden. I only keep the transfer option for transfers to my savings account and payments to credit cards for transactions I’ve already counted against my budget (and possibly ATM withdrawals in the future, as I mentioned in the post). If I’m paying down a balance, I assign it to my Financial category because it’s an additional expenditure. Realize that budgeting is like any other new skill: It takes time to develop the skills (and discipline!) to live on a budget. I’m just getting back into it, but I managed a personal budget for years before I made it too complicated for myself. So if you go over budget when you’re first starting out, don’t be too hard on yourself. Sometimes unexpected expenses come up. I think one of the reasons people (by people I mean ME) get frustrated and overwhelmed with budgeting is we expect mastery out of the starting gate. That’s not going to happen. But even if you budget imperfectly, over time it will get easier. I’ve also found for myself that just setting up a budget has helped me prioritize my spending the same way I prioritize my health. I still want to eat total crap like pizza, cheddar fries, and chocolate covered pretzels. Even better if they’re topped with toffee, like the crack I can get from Whole Foods. But I want to be healthy and strong more (most days). 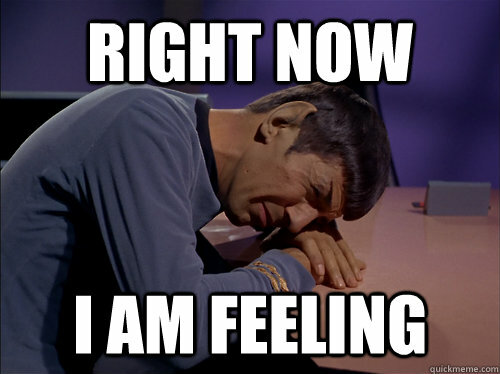 In like manner, I still want to spend a ridiculous amount of money on eating out and buying funky shoes, but now I want to be able to be able to take my kids on a cruise more and get out of debt faster. If that’s the only benefit to budgeting, it’s worth the hassle. If you have any tips for how you maximize Mint, I’d love to hear them! I’m on this journey with you! This is awesome! I’ve been waiting to stumble on a blog from someone more focused on leveraging Mint than me. You’re my mentor, Annie! P.S. Would be nice if you could fix a few of your broken images. Thanks, Ben! Happy to help! I just double checked the images, and none of them are broken. However, there are a crap ton of images in this post, so if you’re on a slower connection they might time out before they load. So you might want to try refreshing the page. Great post Annie, I have been using mint for years now and found it to be the best way for budgeting and staying on track. I agree with Ben, some of the images aren’t loading for some reason. Weird. I’ve checked on the post in Chrome – both regular and incognito – as well as Safari, and all the images show up for me. I have checked again and they are loading now just fine, maybe it was a caching issue. Quick question about your cc payments. Do you set up goals for paying these off, in addition to categorizing them in your budget? Or do you just not even bother with that part? Example: I set up the goals a couple months ago and noticed that throughout the month they show as part of my total budgeted amount, but when the month rolls over, it essentially shows that money as being unused leftover, which isn’t at all the case. I’ve considered setting the goal as “money comes from other sources”, so it doesn’t count against my overall budget, and then also categorizing the payments in my budget like you do. But then I wonder if the goal is even worth having at that point. I haven’t used goals. I will eventually. Hey Annie, just thought I’d share a handy chrome extension when you’re doing any reporting in the transactions pages and want to segment by date. Sorry I missed this, Chris. Very cool! This article is AMAZING! Thank you so much for all this information! This is amazing Annie! I am just starting out with Mint. I am very picky about how I want things done and like a lot of flexibility. I knew I would be running into roadblocks and quite possibly would have given up on it if I hadn’t read this. It’s great to be able to read this ahead of time to relieve me of some major frustrations. Thank you for sharing your in depth research! Hi, do you know if there is a way to change when the month starts? It sounds weird but my credit card bill is due the 13th of every month. I love Mint but it doesn’t really work well for me since my bill is due in the middle of every month. Thanks for all the other helpful info though!! You don’t have to change the start of the month to designate a bill due in the middle of the month. Great article Annie. I categorize my transactions and review my budgets the first Monday of the month, but I am looking at the previous month. Do you know of a way to get the Mint website not to jump to the current month every time I go in and out of a budget? 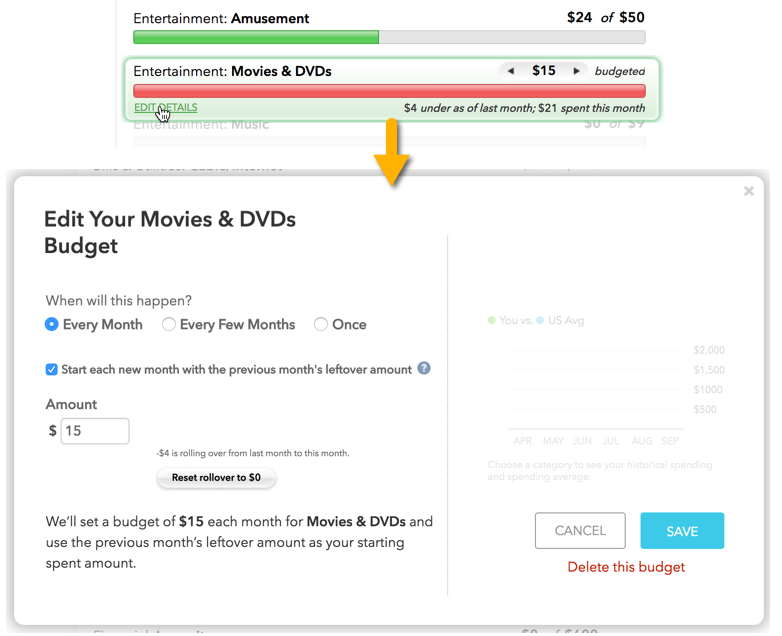 I am trying to review the previous month and it’s very annoying having to click back to the previous month every time I exit one budget and want to enter another budget. Thank you for any insight! Well written (I love your style), and informative. 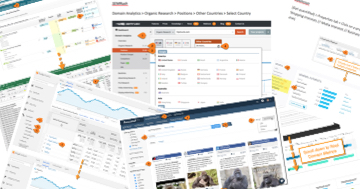 This made me want to look around your site to see what else you have to say! My mortgage lender won’t integrate. Now Mint says I have the asset value of my home, and no corresponding debt. Is there any way to add the load amount manually? That’s a question for Mint’s impressive technical chat. They made it a little trickier to use. You need to go here (https://help.mint.com/), type in keywords around your question, and then choose the chat option (how-to gif: https://www.screencast.com/t/cLZUyz81). I wrote a Windows 32/64 and macOS program called MintToReport. It allows users to create professional income/expense reports, tax reports, comparison reports, charts based on just your criteria and more. Together with Mint, it makes a very user-friendly reporting engine for your Mint transactions. For more info or to download a free trial version, please visit MintToReport.com. I apprciate your sharing this. I have been frustrated trying to use mint to budget for bout a year, running into some of the same issues. Now I’m eager to clean out my failed attempt and try again. Yeah, it really has to be customized to be useful. Thank you Annie for this useful piece of information. Indeed Mint can be a bit tricky if not properly utilized as you rightly stated. I need help with regards to the 2 legs of a transaction that Mint always displays. The only problem is that one of the legs is always incorrect. For example, I have my Line of Credit interest payment being debited from my chequing account automatically on a monthly basis. On the chequing account, it appears as a debit and is classified as a loan interest payment. I have no problem with that. However, the opposite leg is classified as an interest income on my line of credit. This amount is then included as part of my income for the month which is incorrect. Any advice from you on how I can address this issue? I would definitely encourage you to use Mint’s chat feature. They buried it, but I included instructions on how to find it. The people I’ve chatted w/ were quite helpful. I have a tip for making the Mint customization less overwhelming and burdensome. As part of my daily first thing in the morning ritual, I check my calendar my bank accounts, and my emails. 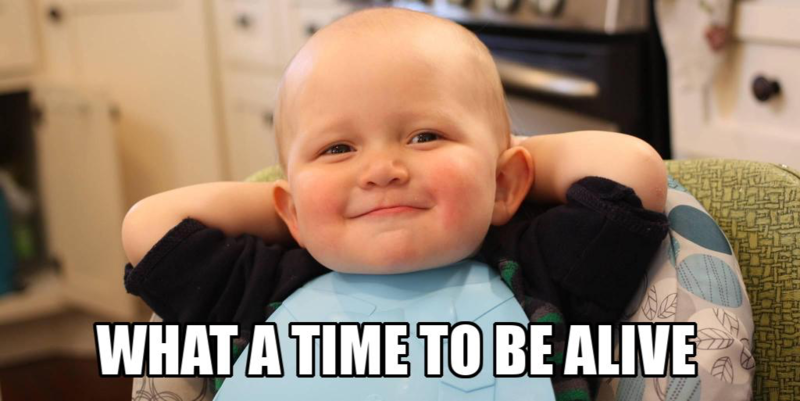 After checking my bank account, I open Mint.com and take care of any new transactions that need massaging. All of my budget set-up and learning took place this way as new situations arose. Now, I sometimes play with it to make it better, but still it only takes a few minutes every day, unless I get sucked into some interesting side topic like I did this morning! Ha ha. Have a good day, what’s left of it. Great article! Now if I could just figure out how to make what is left of my income carry over. I get paid every other week, so my income differs from month to month. That’s exactly why I hacked it to work like the envelope system. Loved this article! I just started using this app this month. I put in my income i expect to get this month. Do i need to take into account the $$ already in my bank account now?? Should i put that amount on top of my income? I dont want to start out doing this wrong. I gotta get on track. Thanks! Yes, you will need to account for your current balance in order to reconcile. Good luck! Mint records my pay when it is deposited into my account and so it records only ‘net pay’. I want to keep track of the taxes and health insurance premiums I pay too. With Quicken i used to put in gross pay and then split the transaction. What I am trying is to simply add a ‘paycheck’ equal to the deductions and then ‘paying’ the taxes and premiums etc. 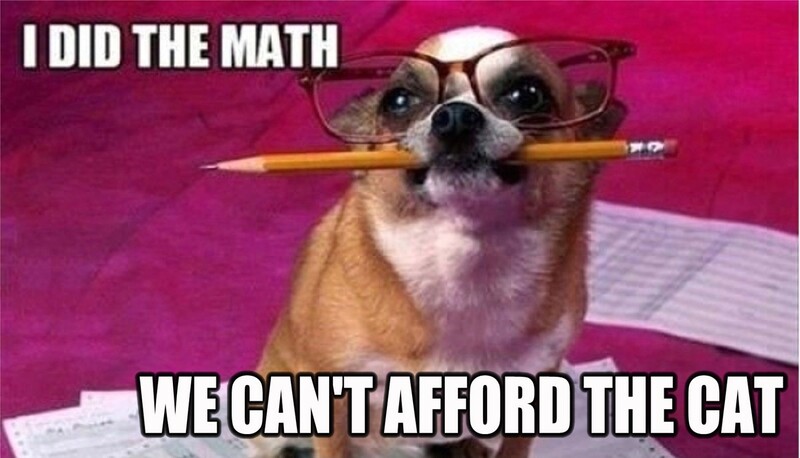 It works for budgeting but it sure is a pain. Do you know a better way? I’d recommend chatting w/ a rep. They’re quite excellent. I share how in the UPDATE at the top of the post! This information was very helpful! I’ve tried using Mint a few times only to get bogged down with accumulating issues due to not knowing how to customize it. You addressed several problems I’ve wondered about and now I have hope of actually being successful. Thanks also for your clear examples and language.